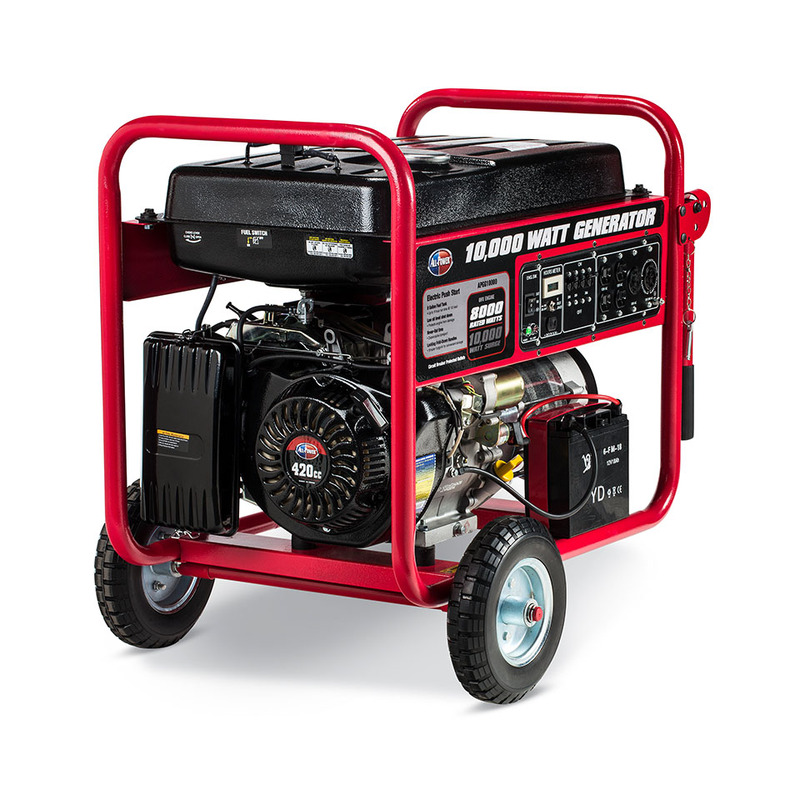 The All Power 10000 Watt Portable Generator is a lightweight and portable generator with durability and undeniable power. 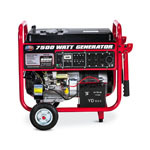 Take this generator camping, tailgating or use for backup power in your house or mobile home. 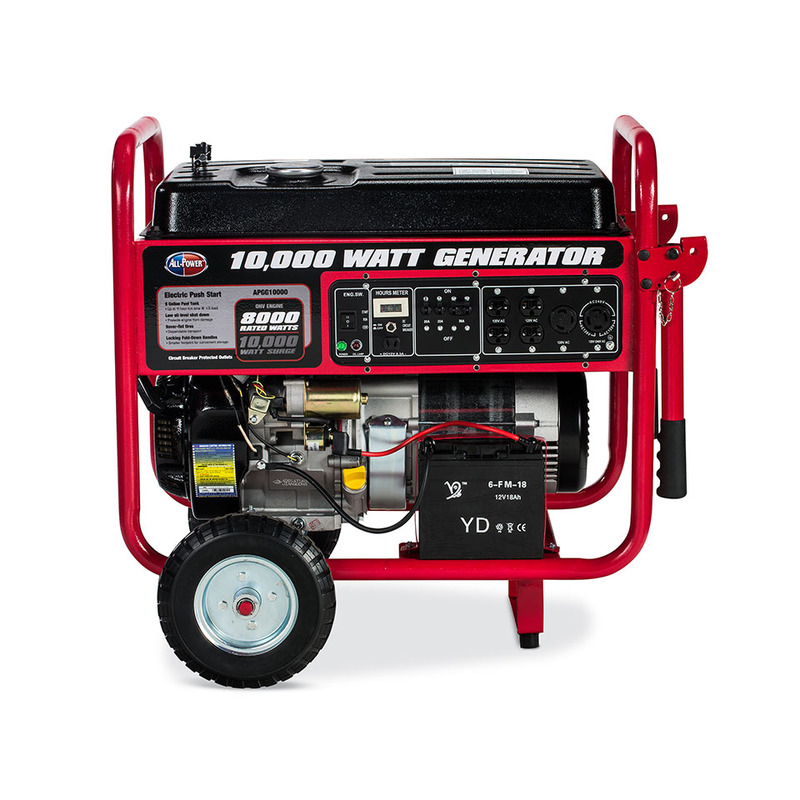 Its peak power of 10000 watts makes the APGG10000 powerful, with a 420cc OHV Air Cooled Engine with electric push start. 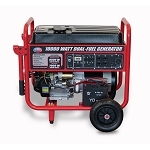 The APGG10000 will last for 11 hours at 1/2 load and only requires 8 gallons of unleaded gasoline. This makes it easy to use and transport. Just fill the easily-accessible gas tank and turn it on and it's ready to go. She was cold then she roared!!! 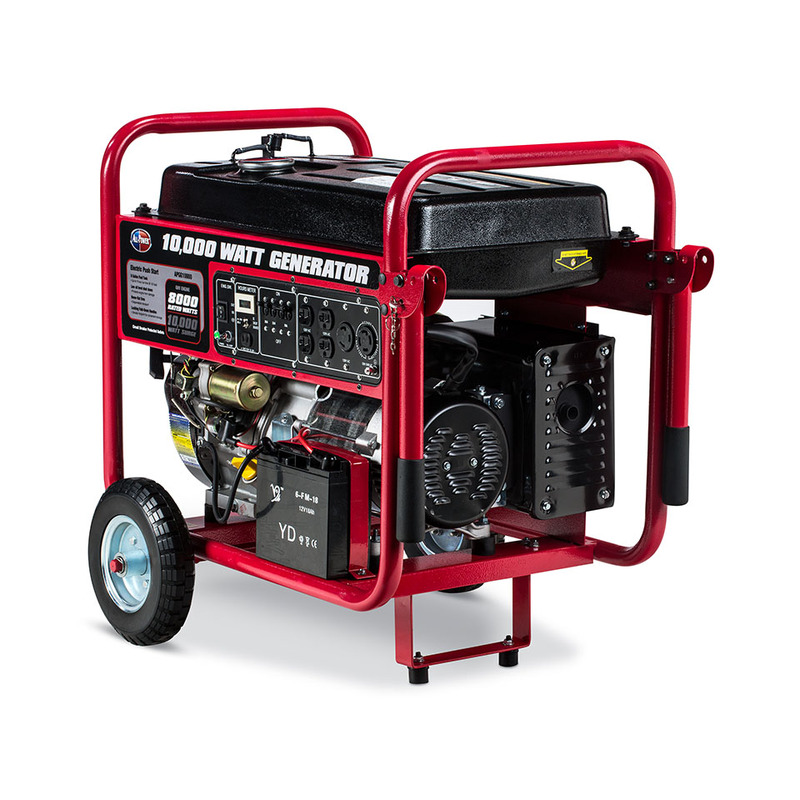 Excellent portable generator. 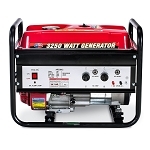 Bought it for emergency power at our house. Starts up immediately when you turn the start switch. 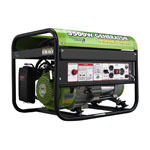 Has a large fuel supply, is easy to operate and supplies enough power for house essentials. This was a great buy, took longer that what was said to be delivered. Came in handy during cold spell!! This item was easy to put together, tires and handles need to be put on. 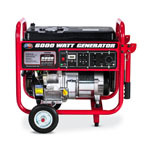 We bought this generator because it uses gasoline. The price was fabulous. 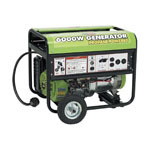 Even with an extra warranty it was cheaper than any other generator this size we had looked at. We are very pleased. Two hits on the primer button and it started and ran very smooth. Hoping we won't need it to often, but well prepared if we do need it. Just had an electrician friend hook it up to the breaker box so it will supply the entire house minus the cooking stove...who wants to cook anyway??? Filled it with gas and oil and hit the electric start and it fired right up. No more powerless days for me!!! Running Time @ 1/2 Load (hrs.) 9.5 Hrs. Dimension (L,W,H - inch) 31.7" x 21.26" x 23.03"